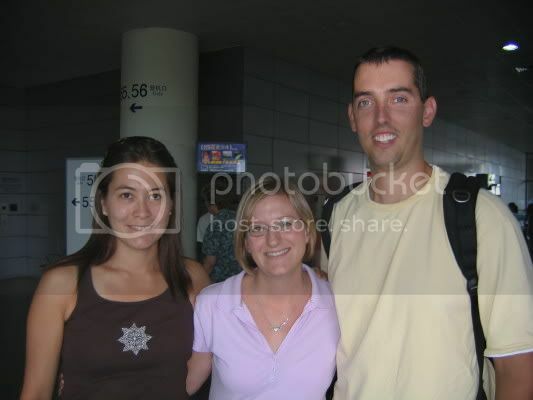 After Brian left I was lucky enough to have my friend Donna from Arizona come over to China for a whirlwind trip. Her husband also works for the same company as Jonny and she was coming over with some other finance wives as the husbands all had meetings in Shanghai. She unfortunately didn't have time for a trip to Chengdu, but I had the pleasure of meeting her in Shanghai for a few days sans husband and kids. I came in a little earlier than Donna so that I could meet up with some Chengdu alums and do a little shopping. We had a great time and ate at some of my favorite places. The next day I met Donna and her friends at their hotel first thing in the morning. 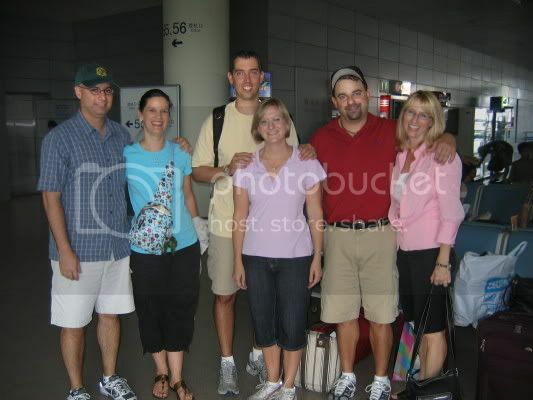 There were about 5 of us in the group coming from Malaysia, Ireland, Vietnam, Chengdu, and the US. There was another woman that was hosting us who had lived in Shanghai for 3 years, so she knew where to take us. Our first stop was Yuyuan Garden and the area around it for a little jewelry shopping along with a tour of the 400 + year old garden. 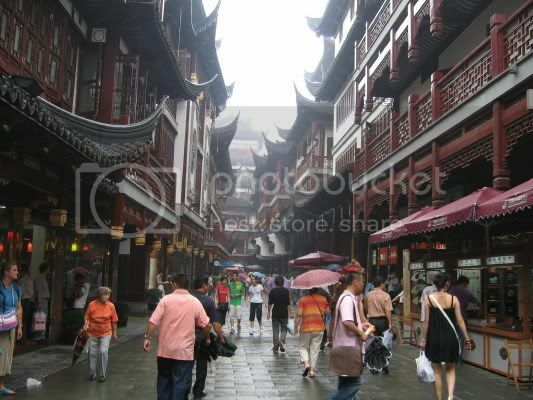 We headed over to an area called Xintiandi, a trendy little place to shop, eat and drink. We had lunch at Simply Thai which was as yummy as ever. (This was actually my 2nd visit there on this trip!) After lunch we headed to Dragonfly for a little pampering. If you ever have a chance to visit China you definitely have to indulge in this little pleasure! I always get the Top to Toe which is a foot massage and a neck, shoulders, and arm massage done simultaneously by two therapists. It is absolute heaven! After our massages we stopped by the Kade Club for some DVDs and then headed back to the hotel. At the hotel we met with a guy called David Yang who makes custom made items such as purses, jewelry boxes, picture frames, photo albums, etc. with Chinese silk. His items were absolutely beautiful and I was able to purchase a jewelry box, a couple of picture frames, and a couple of decorative Kleenex boxes. Donna and I at Yuyuan Garden. After freshening up a bit we all decided to have dinner at 1221, my favorite Chinese restaurant in Shanghai. We had an assortment of yummy Shanghainese dishes, but my favorites are their lemon chicken and the shrimp over crispy rice. We also had a new dish that I have never tried which was spice Sichuan beef with this delicious bread. We headed back to the hotel and had a bottle of wine and chatted until some of the husbands came back from their dinner. Anita and I polished off our bottle of wine prior to her husband arriving and a few of us decided to head back out to Xintiandi for a few drinks at the Paulaner. It was great to go out with Anita and her husband. They were so much fun! The other thing that was great was that I was able to see our friend Bruce, who was in great form! Saturday morning Donna, her husband and the two other couples they were traveling with headed to Beijing and I headed back to Chengdu. Here are a few snaps of us saying good-bye at the airport. The Agudellos, Ruggs, and Rowes getting ready for their trip to Beijing.